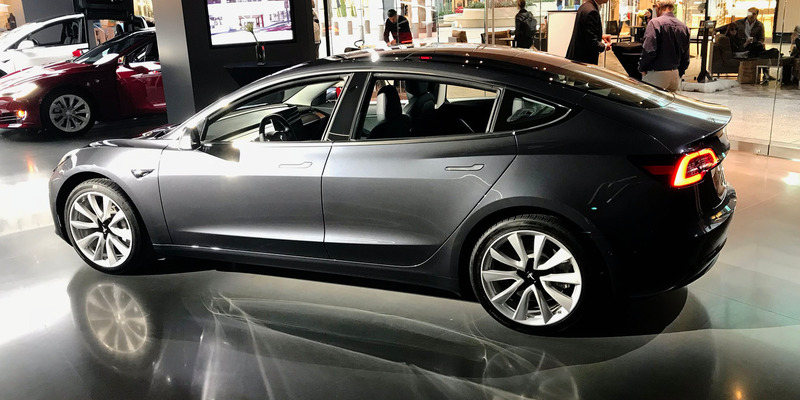 Tesla is starting to bring production versions of its mass-market Model 3 electric sedan to retail stores as customer deliveries begin. The first ones are showing up at Tesla’s California retail locations in the Los Angeles suburb of Century City, and Palo Alto in the San Francisco Bay Area. Customer deliveries have begun, but Tesla has encountered some production challenges in the last several months that have prompted delays. Tesla says it hopes that putting the Model 3 on display at its stores will give customers a chance to experience the car while they wait to take delivery.